The Tree of Life is a religious and geometrical glyph of the Universe. The Tree is described in several texts such as the Sepher Yetzirah1 and Sepher Bahir.2 The Tree was the result of the thirty-two Paths of Wisdom which relate to the number of times that God’s name ALHIM (El ohim) was mentioned in the first chapter of Genesis. The Kabbalists formed this concept about God and the creation of the Universe from their research. They did not state the concept of God as fact, but rather they understood that one cannot truly prove the mysteries of life. Through combining elements of religion and mathematics, they formulated and developed this path. A path which uses meditation and magic to apply Kabbalistic concepts and techniques as a aid to knowing oneself and understanding the laws and forces of the Universe. The Tree of Life is formed from ten Sephiroth or spheres and twenty-two Paths or Foundation letters. The twenty-two Paths are the letters of the Hebrew alphabet and the ten Sephiroth are the points which connect the Paths. The twenty-two Hebrew letters are divided into the three Mother letters, the seven Double letters and the twelve Elemental or Single letters. The letter arrangements express several concepts of equilibrium. Each Sephiroth and Path expresses a religious principle and a number. Aryeh Kaplan suggests, “If we draw ten points in three columns in the simplest manner, we see that they are automatically linked by 22 lines. Of these, three arc horizontal, seven are vertical, and twelve are diagonal.”4 In other words, the three Mother letters form the three horizontal paths in the Tree of Life. The seven Double letters form the seven vertical paths and the twelve Elemental letters form The the twelve diagonal paths. The three Mother letters conceptualize the triune nature of God and form an equilibrious triangle. The Mother letters also symbolize the three Pillars of the Tree. The Middle Pillar represents the Pillar of Mildness (or the personal self) with the two outer Pillars being the Pillar of Mercy (right) and the Pillar of Severity (left). These two Outer Pillars are also seen as positive (active) and negative (passive) forces of nature. The seven Double letters have two possible sounds creating opposition. The Double letters model equilibrium with six spheres forming a circle around one sphere. The outer six spheres central points are equidistant from the one sphere’s centre point. The twelve Elemental letters have only one sound with no opposites. The last principle of equilibrium is to enclose a sphere three-dimensionally using other equally sized spheres. It takes twelve spheres to enclose one. In the Sefer Yetzirah, the natural array of the Tree of Life is built following the arrangement of the numbers three, seven and twelve. Triangles arc formed by the connections of the Sephiroth and Paths. The Kabbalists used this Tree as a starting point. They changed the arrangement of several Paths to express particular ideas. One of them is the idea that life is three dimensional if not more dimensional. How is the Tree of Life formed in three dimensional space? In other words what is the minimum shape used to separate the inside of itself from the outside. What gives everybody their uniqueness is that they are physically separate from others yet are still able to relate and share their experiences with others. The Kabbalists tried to understand these feelings and express them through the Tree of Life. In building the three dimensional Tree, one reason for using the Tetrahedron and Octahedron is contained in The Complete Golden Dawn Cipher Manuscript. We read in Cipher Folio number 47 (4○=7□ Admission, Part 4), “H[e]g[emonl shows tetrad [four] & hexad [six] of Yetz[iratic] & G(e)omantic Tree of Life.”10 The Octahedron and especially the Tetrahedron are shapes that appear throughout the Golden Dawn’s ceremonies and teachings. The Octahedron compressed from its three dimensional form into two dimensions looks identical to the Tree of Life from Kether to Tiphareth except for the two Paths that go from Chesed to Kether and Geburah to Kether. The Octahedron now becomes a Hexagram which is the shape of the Banner of the East. The Tetrahedron compressed into two dimensional form exactly matches the lower four Sephiroth and their Paths. The Banner of the West also expresses the concepts of four and six. The Banner is a triangle with a cross in the centre which becomes the fourth point thus forming a Tetrahedron. In conclusion, the ancient Greeks and today’s current mathematical system is based on the square with its ninety degree coordinate system. As previously explained, the Tree of Life which represents the Universe is structured with triangles and not squares. The Pillars in the Golden Dawn ceremonies pose an interesting question for aspiring Kabbalists as well as mathematicians. The tops of the Pillars are red Tetrahedrons symbolic of the path of light. The bottom of the Pillars are black square cubes symbolizing the path of darkness. By building the three dimensional Tree, the Kabbalah offers a way out of the state of darkness. 1. Rabbi Akiba ben Joseph [?]. a) William Westcott. The Sepher Yetzirah: The Book of Formation and The Thirty-two Paths of Wisdom. Fourth Revised edition. With Hebrew text. Notes and bibliography by Darcy Küntz. Edmonds, WA: Holmes Publishing Group, 1996. b) Aryeh Kaplan. Sefer Yetzirah. 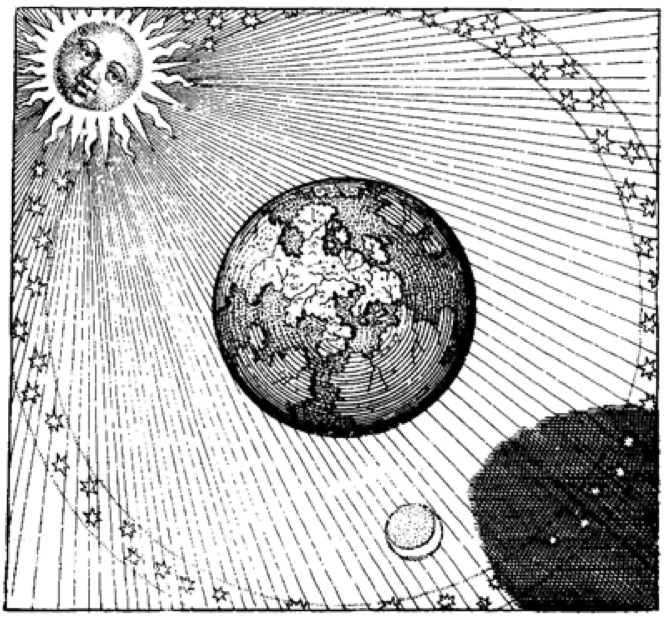 The Book of Creation: In Theory and Practice. Yorke Beach, ME: Samuel Weiser, 1990. 2. Rabbi Nehunia ben haKana [?]. Aryeh Kaplan. The Bahir: Illumination. Yorke Beach, ME: Samuel Weiser, 1979. 3. Chic and Sandra Tabatha Cicero. 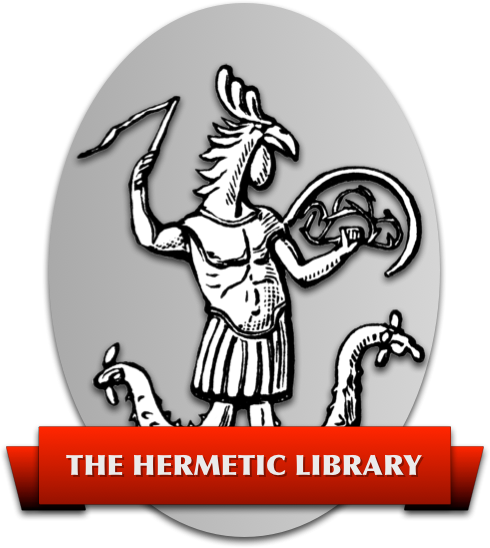 ‘The Hebrew letters (Mother, Double, and the Elemental letters)’ in Self-Initiation into the Golden Dawn: A Complete Curriculum of Study for Both the Solitary Magician and the Working Magical Group. St. Paul, MN: Llewellyn Publications, 1995. page 151. 4. Aryeh Kaplan. Sefer Yetzirah. Samuel Weiser, 1990. page 32. 6. J.F.C. Fuller. The Secret Wisdom of the Qabalah: A Study in Jewish Mystical Thought. London: Rider and Co., 1937. page 62. 7. J.F.C. Fuller. ‘The Traditional Golden Dawn Tree of Life’ in The Secret Wisdom of the Oabalah. Rider and Co., 1937. based upon the illustration facing page 60. 8. Robert Wang. The Qabalistic Tarot: A Textbook of Mystical Philosophy. Yorke Beach, ME: Samuel Weiser, 1983. page 31. 9. Aryeh Kaplan. Sefer Yetzirah, Samuel Weiser, 1990. page 28-30. 10. Darcy Küntz. (ed.) The Complete Golden Dawn Cipher Manuscript. Edmonds, WA: Holmes Publishing Group, 1996. page 144: lines 18-9. 11. Pat Zalewski. ‘The Banners of East and West’ in Golden Dawn Enochian Magic. St. Paul, MN: Llewellyn Publications, 1990. page 174.